We know more about Mars than we know about Antarctica’s subglacial environment, but new information about its nature is changing the way we view the continent. The Subglacial Antarctic Lakes Scientific Access (SALSA) project is uncovering new knowledge about this newly explored biome through an integrative study of subglacial geobiology, water column and sedimentary organic carbon, and geobiological processes in one of the largest subglacial lakes in West Antarctica. 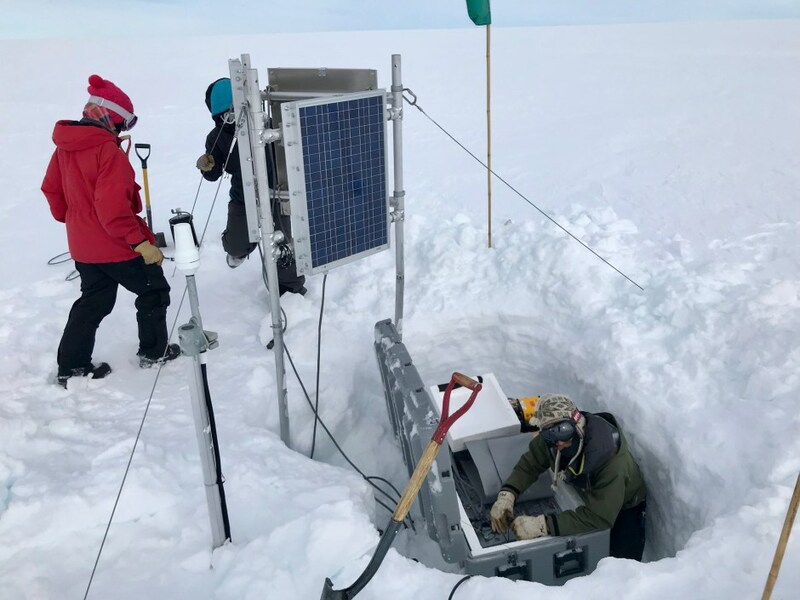 Over December 2018 – January 2019, SALSA set up a field camp of 50 scientists, drillers, and support staff and drilled 4,000 feet into the ice to sample from Mercer Subglacial Lake. Located roughly 500 miles from the South Pole, team members reached the study site using specialized tractors and ski equipped aircraft. Follow us on our Blog, Instagram, Twitter, or Facebook. Click here to view news stories highlighting SALSA’s work. Use the top menu or scroll down to learn more. The Antarctic Subglacial environment is a dynamic ecosystem where life, ice, water, and rock form a web of complex interactions. To better understand this subglacial biome, SALSA is employing an integrated approach of scientific discovery that samples from three geobiological systems. Through combining results across multiple disciplines, we are learning new information about our planet’s past and gaining knowledge on subglacial processes such as carbon cycling and water-ice dynamics. Preserving the pristine nature of Antarctic subglacial ecosystems necessitates environmental stewardship during their exploration. SALSA drilled into and accessed Mercer Subglacial Lake using a clean and sterile system that minimized microbial and chemical contamination to the environment and retrieved samples. Click here to read more about our clean access system. SALSA gathered data from permanent GPS stations to better understand subglacial water flow’s influence on the larger ice sheet system and improve subglacial lake modeling through comparing our model’s estimates against geochemical data.